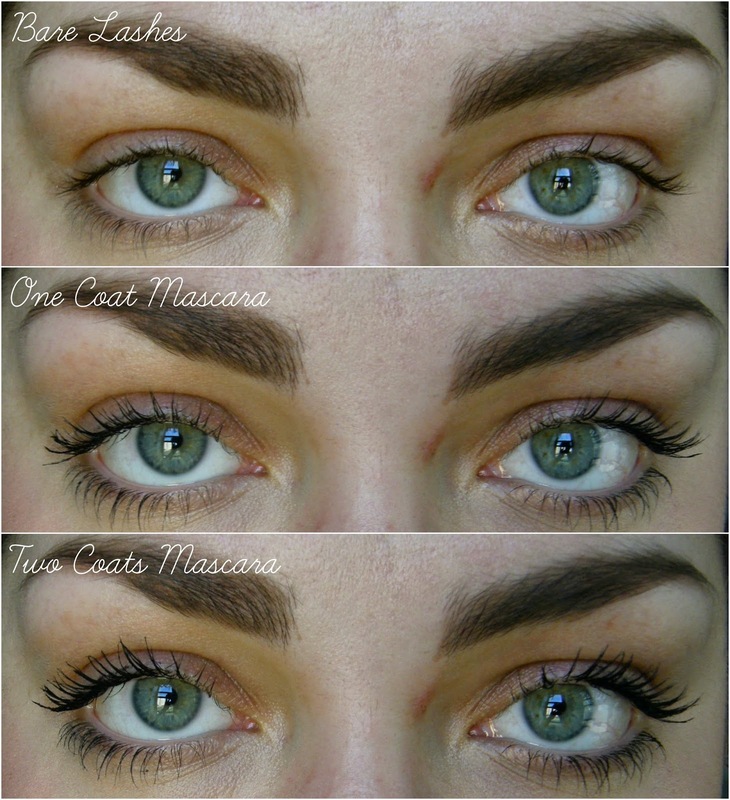 Thrift Thick: MAKE UP FOR EVER Smoky Extravagant Mascara: Swatches + Review! MAKE UP FOR EVER Smoky Extravagant Mascara: Swatches + Review! I figure it's about time for me to review this little sample of MUFE's Smoky Extravagant Mascara (it's the one that came in my/the birthday kit Sephora is giving out this year) since a.) I first reviewed—and never followed up on—it a month ago in a "Best & Worst of Beauty" (B&WOB) video and, b.) my little tube is just about finished. May as well write about my makeup feels while they're fresh, even if the makeup is anything but at this point, amiright? I stand by my initial statement in that B&WOB video that, upon first sight, this mascara wand is like seeing a horse with an erection. WOW. There's really just no other way to describe it; it's long, thick, and tapers to a point… see what I'm saying? The comparison is about as horrendous as it is perfect. Whabam! Immense. And quite frightening; even after using the MUFE Smoky Extravagant Mascara for as long as I have I still get a little twitchy when I bring the wand up near my eyes. Granted I get over the fear real quick because I know how magnificent this mascara makes my lashes look. It lengthens, thickens, and just overall intensifies the look of your lashes without (for the most part) making a clumpy mess. The only real downfall, aside from the monstrous wand and my inability to be mature about it, is that the mascara tends to get smudged on my eyelids during application. No matter how careful I am while dragging the wand through my lashes it's just too darn big and cumbersome to avoid lid contact if I want to get to the root of my lashes. Even now that the mascara is nearly all dried up I still can't seem to get a clean application; I get over it though because, as I've said, this mascara from MUFE makes my lashes look freaking fantastic. Sadness that this little tube of mine is almost out! Tears for the lack of money in my bank account! But no worries about mascara running down my face because even though this sample isn't waterproof, it sure does act like it. For the month or so that I've been using the MUFE Smoky Extravagant Mascara, never have I ever ran into problems with flaking, smudging, or general pain from mascara mixing with my watery eyes. Pretty freaking spectacular if you ask me! Plus there's the fact that it's virtually weightless so the curl to my lashes stays perky throughout the day, refusing to wilt along with my mental alertness (homegirl would take a nap every day if she could). Have you tried the MUFE Smoky Extravagant Mascara? What's your favorite high end mascara; one that's so good you don't care about the price? Yeay! I'll be getting this little Christmas tree shaped mascara in my next order! October is my birthday month so I'll be getting it from Sephora! Excited! Your lashes look AMAZING. SO JEALOUS. I HAVE NOT SEEN NICER LASHES IN ALL MY LIFE. By the way, thanks for the review; it was really helpful! Nnnngh. I was gifted some awhile back and I want some more so. Bad. Best mascara of my life.